Author of this idea is Autie. She invented and created these funny and useful tables from real junk. Guess what is the source for these tables? 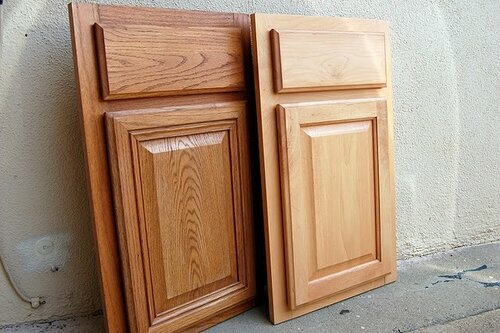 Doors from old cabinets. Kids love art and their own craft table inspires them to do more and more. 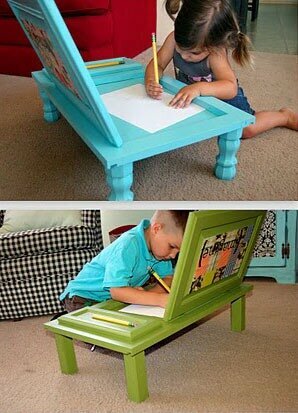 Children can seat on the floor and draw because of short table stands. Table top that can be opened is another great idea. That gives you space for paper, pencils and other crafts. As I mentioned before for creating such kid table you need doors, stands, paint, base, sand paper, screws, drill and everything you think will be useful for decorating. First step is sanding of doors, you should remove old paint and/or finish. Clean up the door. Attach stands. If there are no door hinges you should attach them too. Now it's time to decorate. You can do whatever you want, for example you can use decoupage as Autie did. Step by step instruction and more pictures can be found here www.u-createcrafts.com. This web page contains huge amount of all kind of handmade and decorating. I think so too... 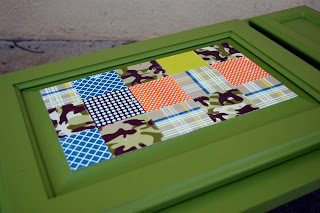 I follow blog of girl who created it and I love her art/upcycling/recycling works and finds.